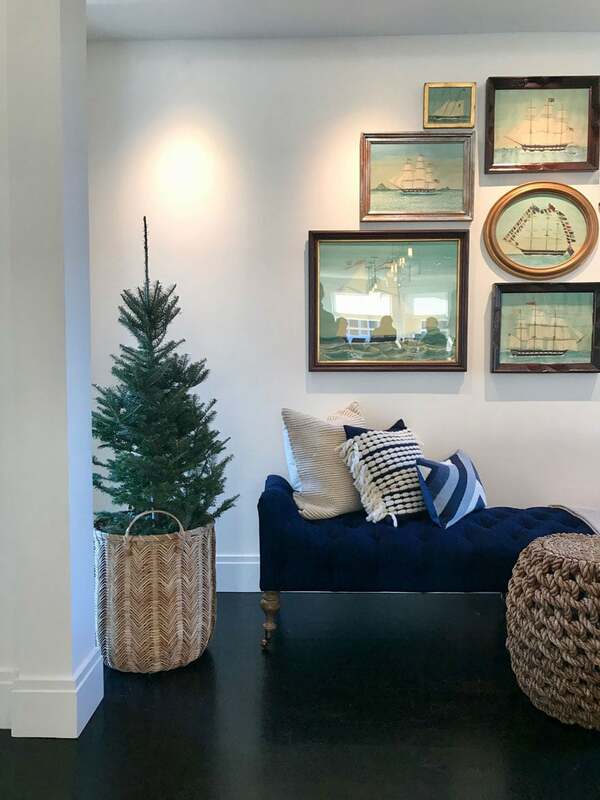 Whenever I see a magazine spread with a beautiful home at Christmastime the one thing I take away every time is the way they display their trees. Not just in magazines, it’s all over Pinterest too. 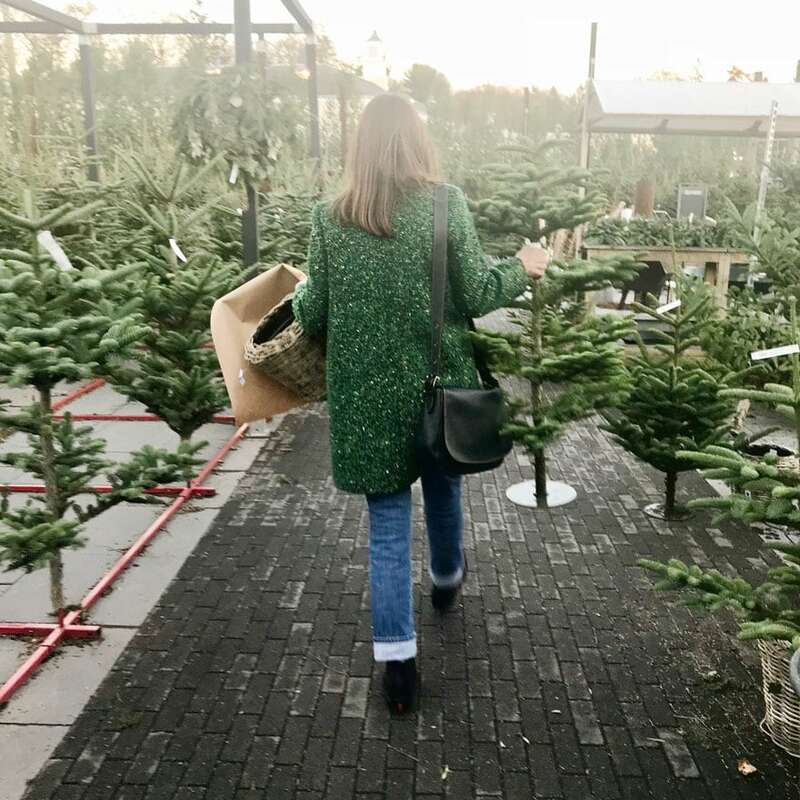 I love trees in buckets, baskets, barrels, crocks – so basically anything but the traditional tree in a stand on the floor covered with a tree skirt. 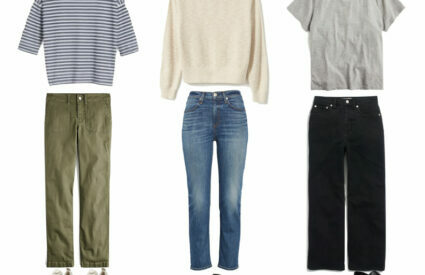 Don’t get me wrong, I love the look, but I just don’t have the space. 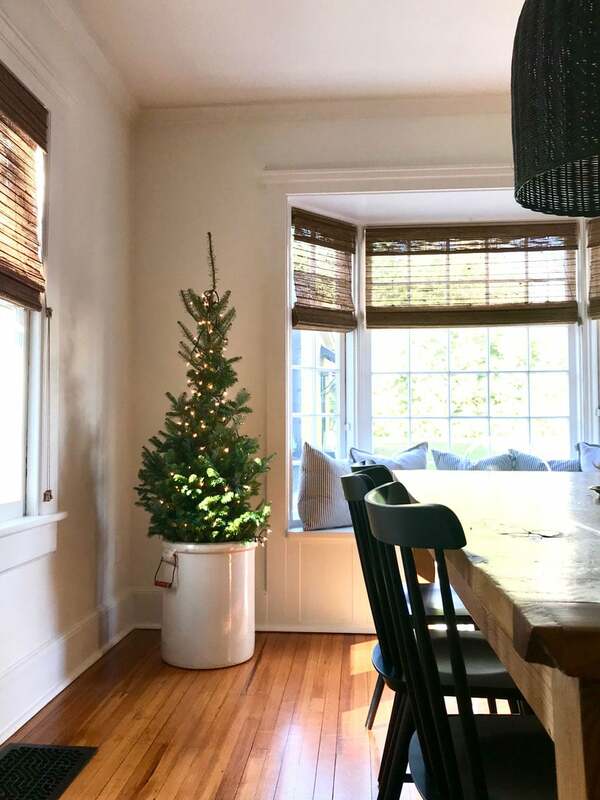 When we’ve lived in large homes I did have a big tree with a skirt around it on the floor and it filled the space and made it cozy. I almost missed it after Christmas. 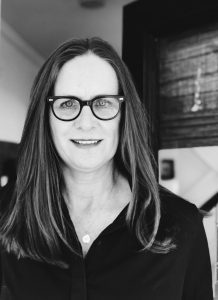 Living in a small space has made me discover new ways to fill corners with trees and still have the warm glow from the twinkle lights, but ones that take up very little space. 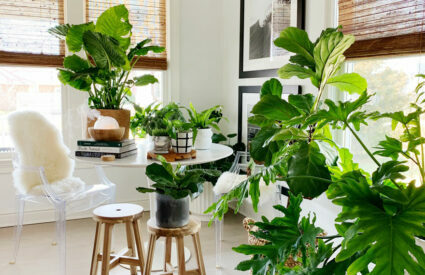 In our dining room I used a large crock that usually holds a Monstera plant and replaced it with a $20 cut tree from Home Depot. It fills the corner perfectly without getting in the way. For our large tree this year (and by large I mean only about 8′) I found a round woven basket at Target. It’s quite large in diameter and accommodates a tree stand. Since this basket is only 14″ high, it’s too short to hold a bucket. A 16″ tree stand fits perfectly. I’ll probably place a liner in the bottom just to make sure it stays dry. After the holidays I’ll be able to re-use the basket to hold a plant. 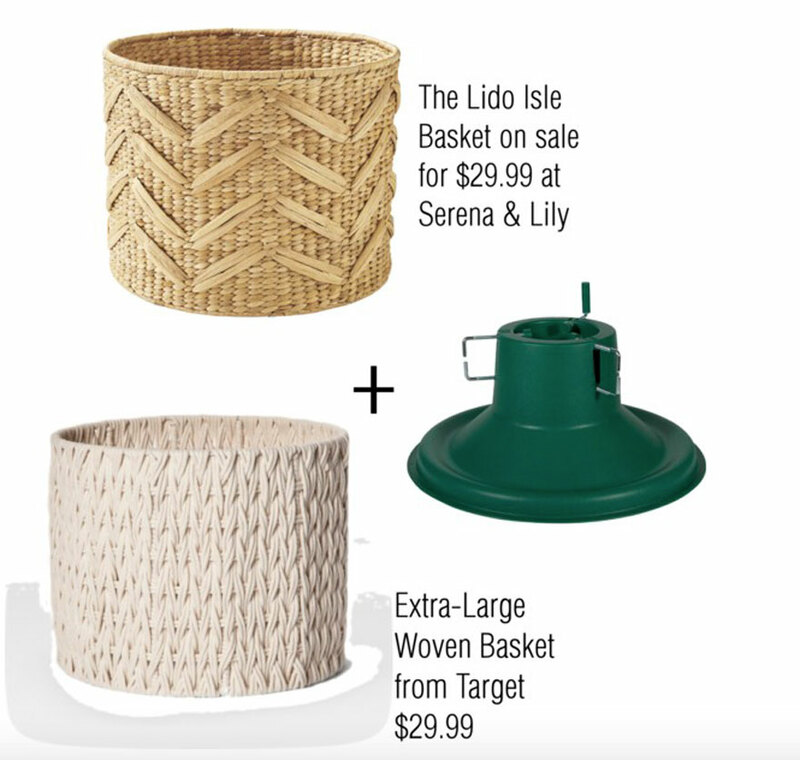 Another great option is the Medium Lido Isle basket now on sale at Serena & Lily for $29.99 and save an extra 20% through Tuesday, November 28th. We even replaced our fig trees at Serena & Lily with 3-4′ trees. I placed a bucket in the bottom of each basket. (Some needed a little height so we placed a box in the base, a 2-gallon bucket on top and then added the tree to the basket. Simple, but it adds a little holiday to the beautiful shop. I have to say my favorite part about working at Serena & Lily is being the plant lady! 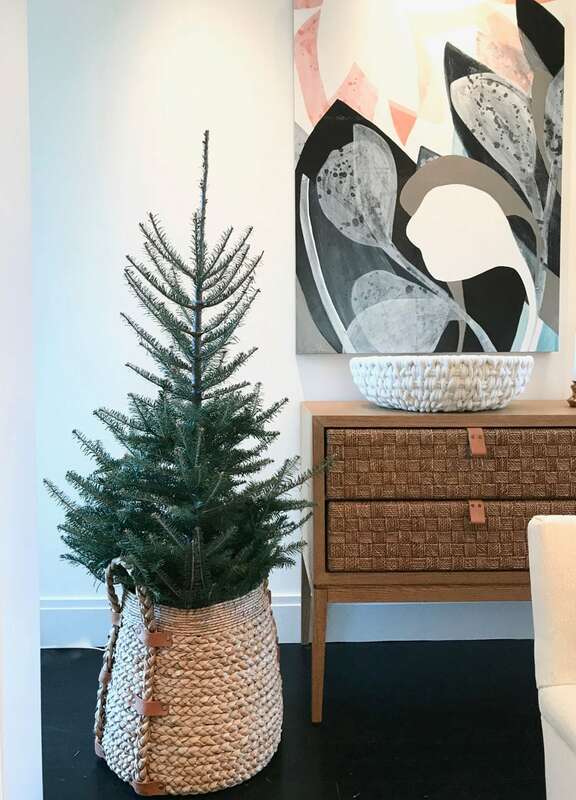 The Petaluma tall basket from Serena & Lily makes the perfect 3-4′ tree holder and below, eight more baskets that will hold your tree and after the holidays you’ll be able to use it for plants, magazines, toys, throws…you get the idea! Extra-Large Round Woven basket – Target 2. Tassel Basket – Serena & Lily 3. Modern Weave Basket – West Elm 4. Medium Round Woven Basket – Target. Huntington Baskets – Serena & Lily 6. Natural Wool Basket – Terrain 7. 8. 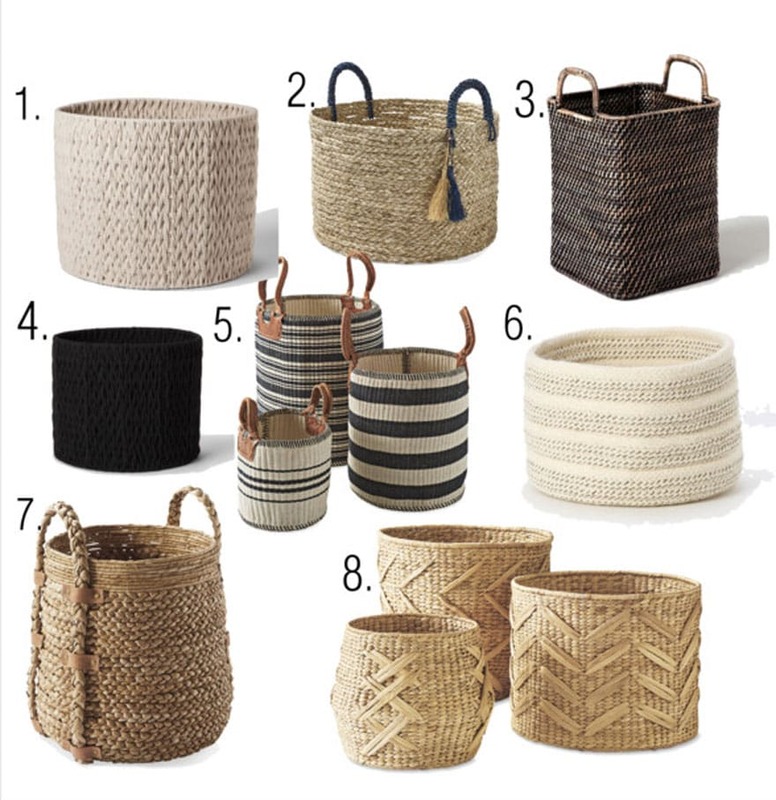 Olema Seagrass Basket – Serena & Lily 8. Lido Isle Baskets – Serena & Lily It seems that I’m the only one that really likes Noble Fir trees in our family, but this one is making its way into our home– somewhere. They have always been a favorite of mine since second grade when Mrs. White would had a Noble Fir with tinsel. This one even came in its own basket at Terrain! You can order one right here! I need some tinsel! Hi Annie, I came over to see your post and how you planted the trees. The neck of my milk can isn’t very wide although the can is tall. Still wondering how I could make it work. Any ideas? 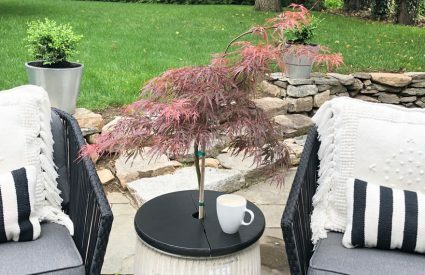 I think if you found a tall narrow tree and trimmed some of the branches at the bottom and maybe put a bowl upside down in the bottom to give it a little height, I think it could work! Stefanie! Mrs. Painter sounds wonderful. I love that you remember so many details and even her December birthday! When someone makes an impression on us at ayoung age, It really stays with us. I hope Kate and Olivia have a Mrs. Painter!